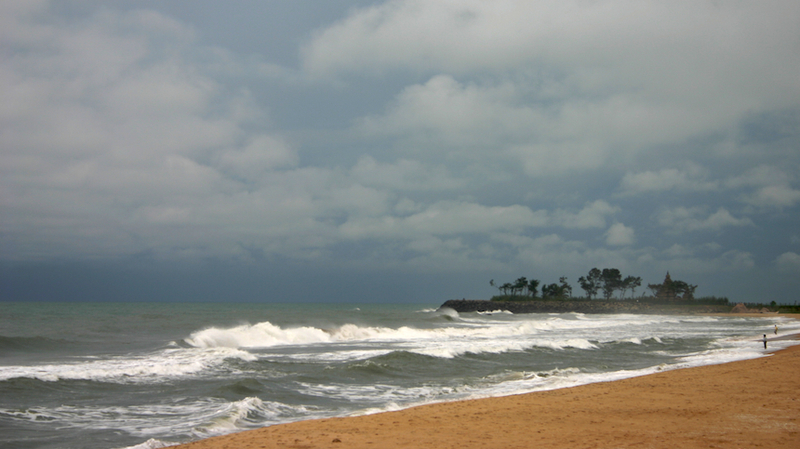 A drizzly October morning at Mahabalipuram’s Covelong beach, with the Shore Temple looming in sight. I like! However, perhaps some PS magic to liven up the sky? Thanks! I don’t even have PS installed. 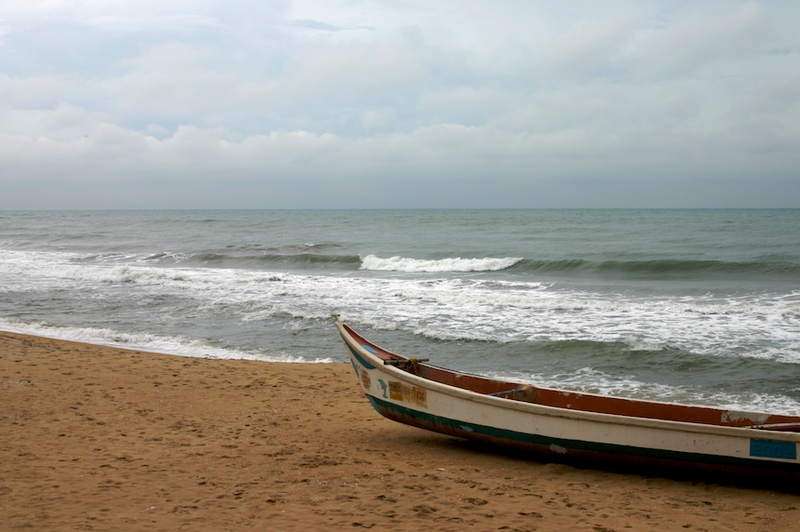 The subtle tones of the pictures due to the cloudiness, along with the vastness of the sea, equates to a peaceful silence which is naturally generated by these. Nice choices. Nice shots. Did you get a chance to explore the temple? Did you get a chance to explore the temple? Unfortunately not. It started pouring not too long after I took these shots, so had to save the temple for another day. Hmm, didn’t you once say that you do sometimes touch up your photos. I still do the minor corrections, but I’ve restricted myself to Aperture’s editing tools for a good year or two now.